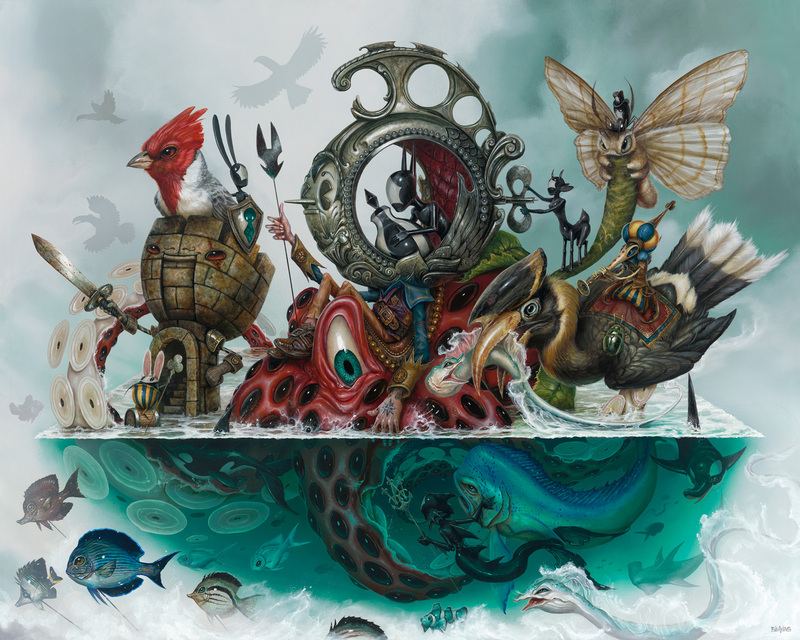 Today we’d like to introduce you to Greg “Craola” Simkins. 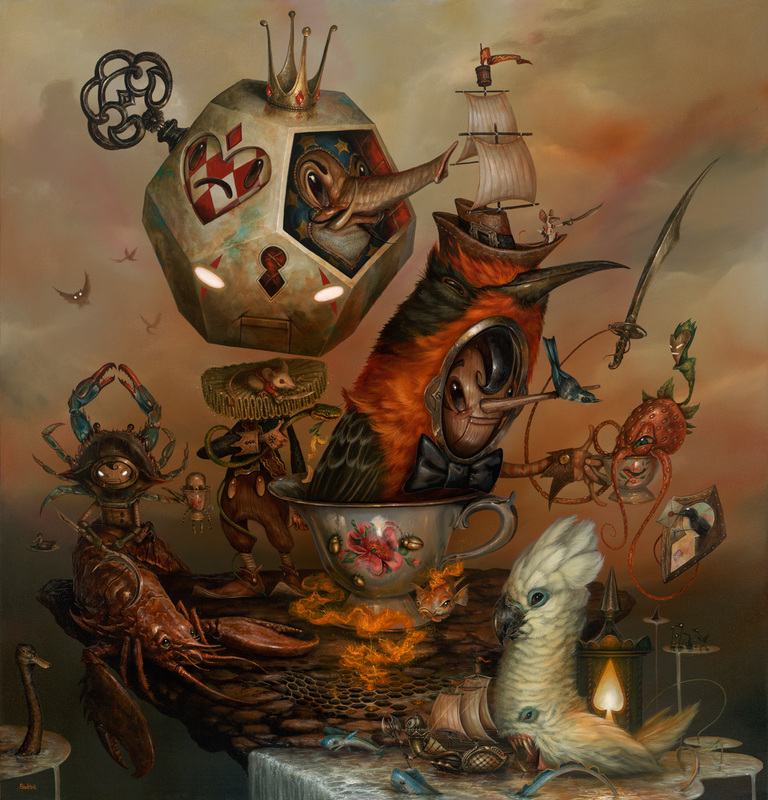 At the age of 18, Simkins began doing graffiti under the name “Craola”. 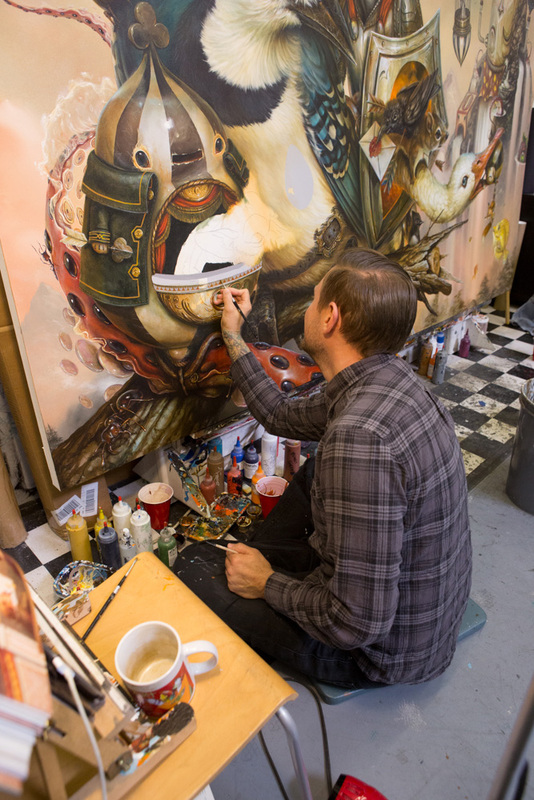 Graffiti drove his inspiration to create and gave him the confidence and experience to paint large-scale works. It also taught him color theory and perspective while further developing his artistic skills, as later demonstrated in his masterful work with acrylics. 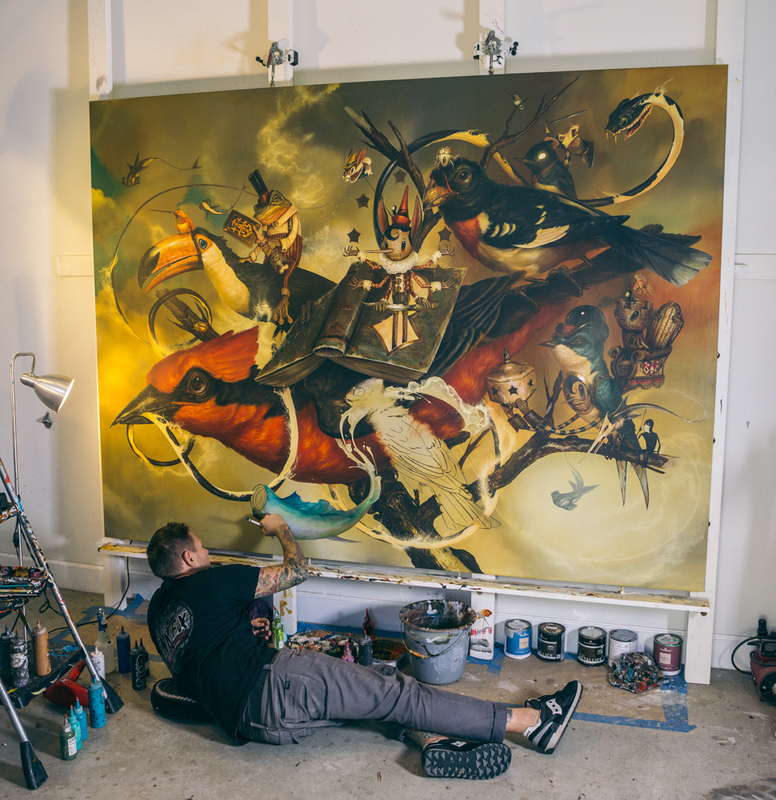 Out of his love for the animal world, he seeks to bring together unlikely camaraderies and conflicts from the landscape of his mind to the confines of canvas, paper, and walls. 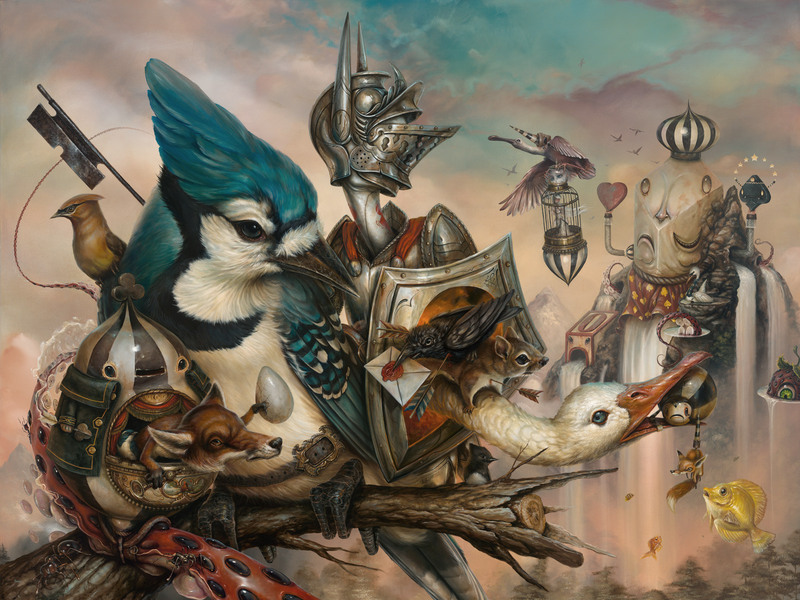 It is common to see deer with killer whales, puppies with crustacean pals, and birds sharing the air with rodents in his playfully ominous to ominously playful acrylic compositions informed by smooth, graffiti gradients and balanced layouts that draw the eye through storylines and little vignettes. I don’t find it all that lonely working as an artist. 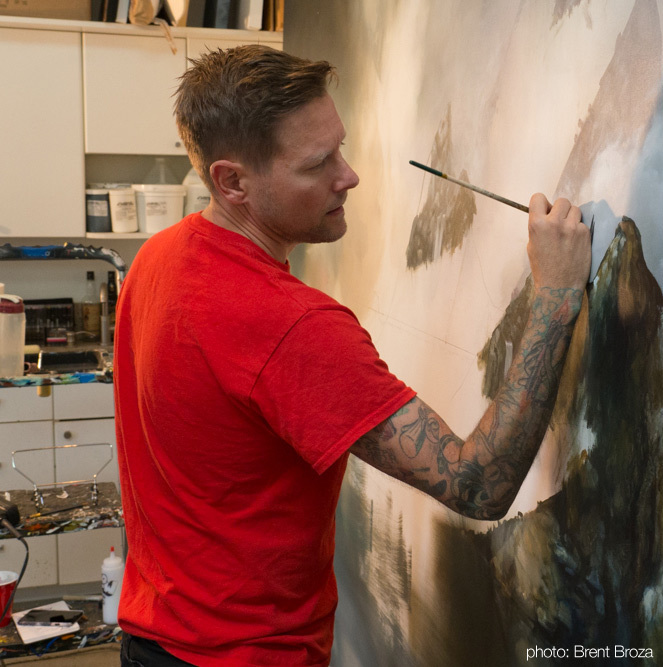 I’ve got my family that keeps me pretty busy, and I love that alone time that I get to paint and disconnect from the world. I feel that that disconnect is more important than connecting with other artists. 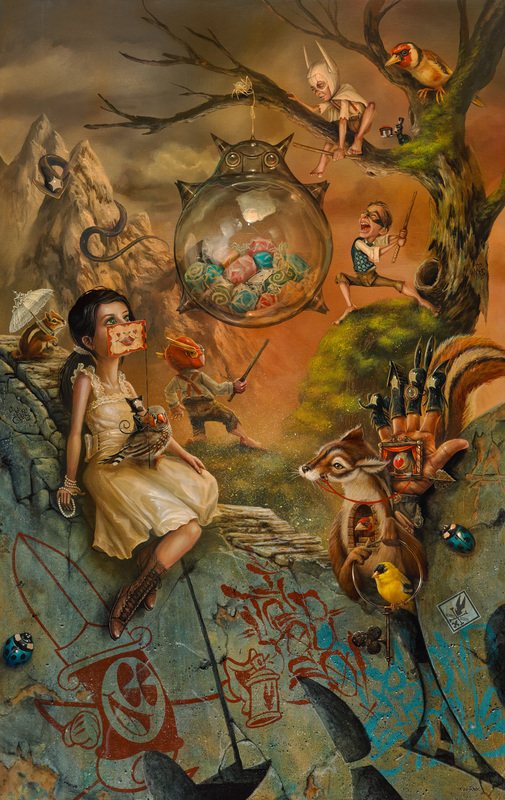 Getting lost in your own ideas and concepts without the distraction of what’s going on in “the art world” is where the creative process takes over. It’s easy to connect these days, social media has done a lot for networking. Getting time alone is priceless. The best place to see more of my work is GregSimkinsArt.com. 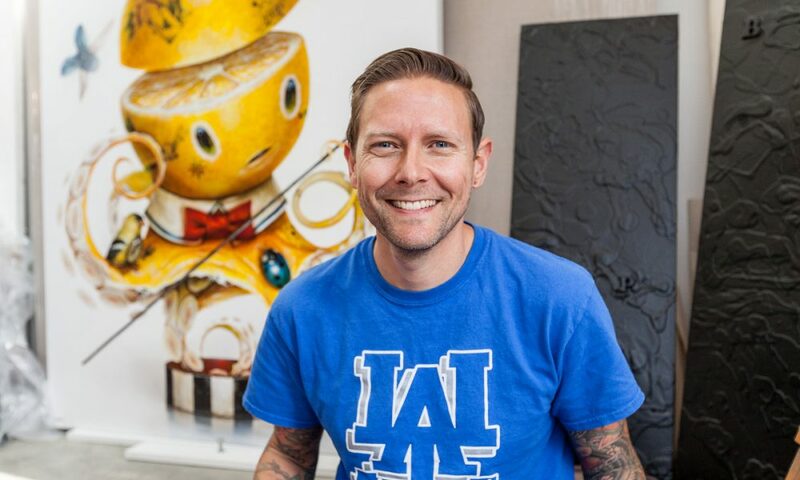 I also have a YouTube page where I post time-lapse videos of my paintings coming to life www.youtube.com/CRAOLA280. 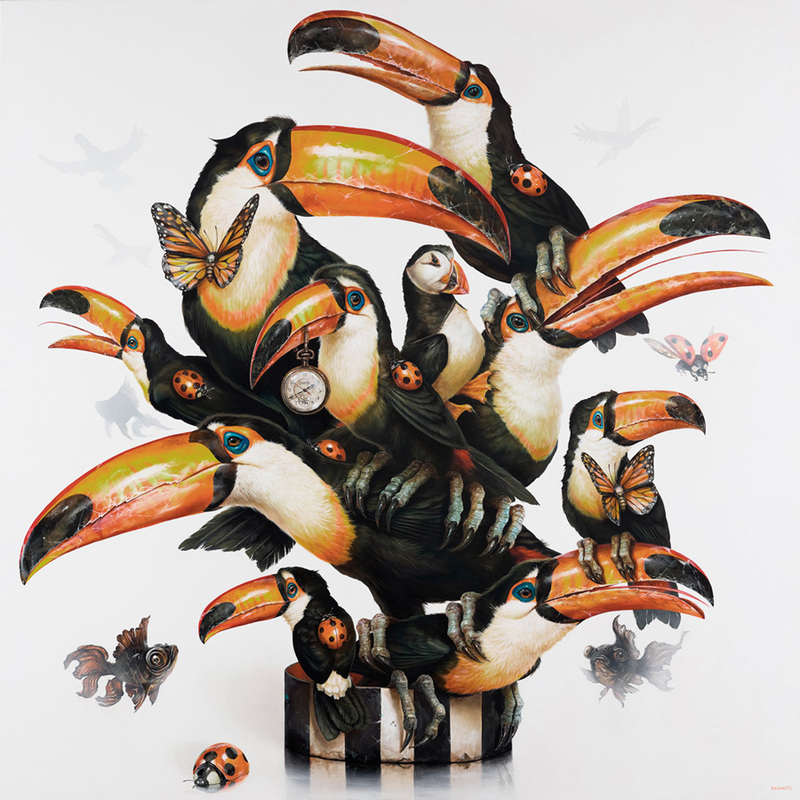 I exhibit at KP Projects gallery in Los Angeles somewhat annually as well as many groups show in museums and galleries around the globe including Miami’s Art Basel.